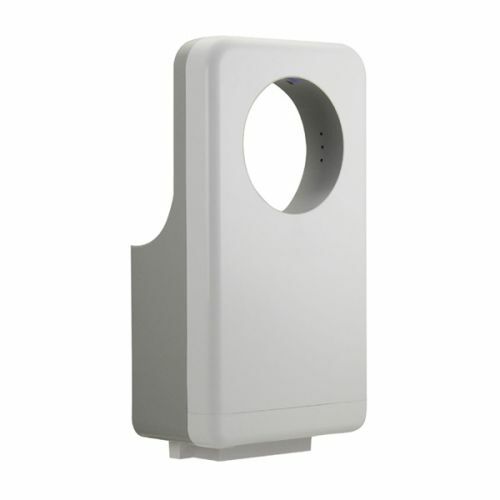 Hand Dryer Suppliers. 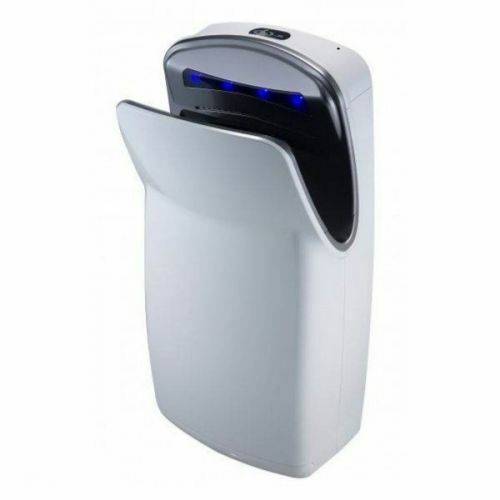 Great range of hand dryers for sale. 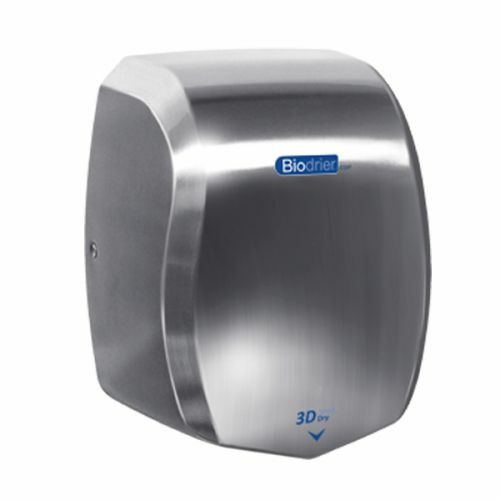 We have a wide selection of hand dryers to buy, from innovative ‘hands-in’ to traditional ‘hands-under’ designs, and many of our models come in a choice of colours to best suit the style of your establishment. 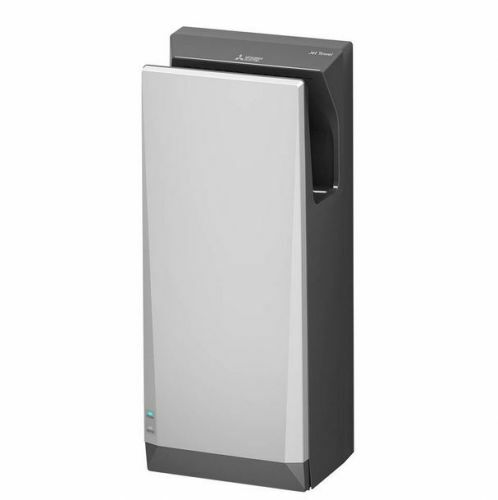 Our economy models offer an entry-level hand dryer for occasional use, while our high-speed options will be more appropriate for those needing restroom hand dryers for busy public buildings. 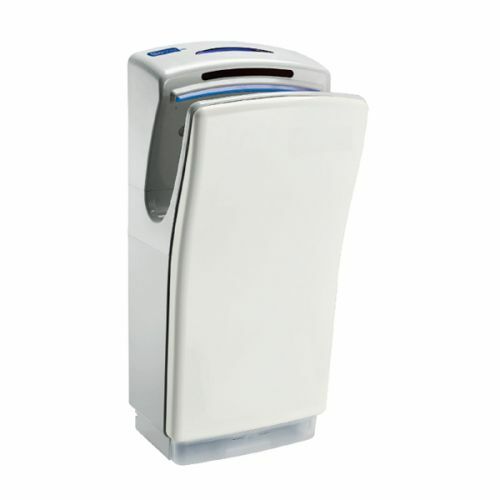 Choose from our range of electric hand dryers below. 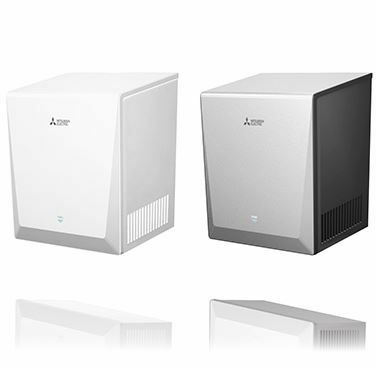 Click on the individual products for more detailed information. 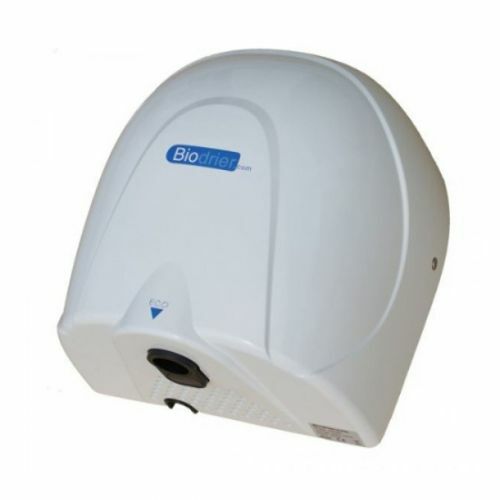 If you’re looking for hand dryers for primary schools, nurseries or public buildings where children will be the main users, we stock a fantastic range of child-friendly hand dryers for you to consider. 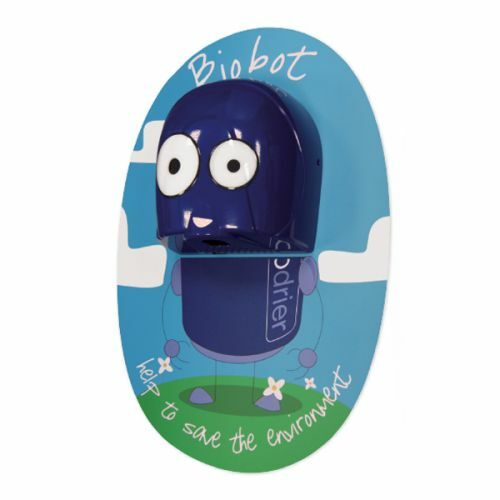 The Biobot Children’s Hand Dryer is a friendly character and, as some little ones find high-speed hand dryers daunting, it also has a lower decibel rating. 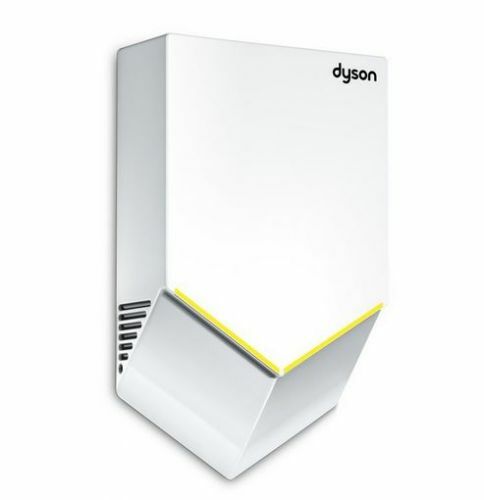 Our extensive range also includes the Dyson Tap and Hand Dryer, which is sensor operated, has a low carbon impact and three tap types to choose from. This design will save you precious washroom space and reduce the risk of anyone slipping on a wet floor. 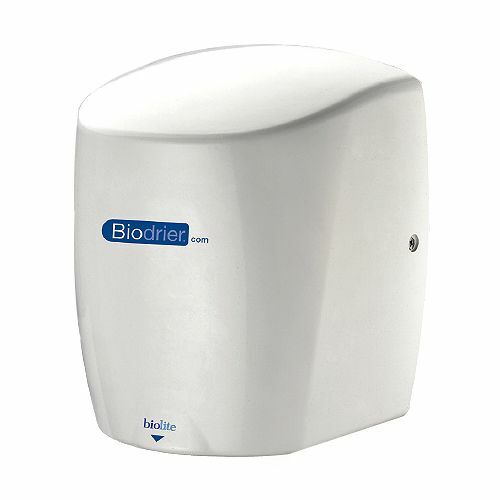 Much debate surrounds the issue of ‘hand dryers vs paper towels’, but lifecycle studies have shown that the use of high-speed dryers can actually reduce environmental impacts while also working out cheaper than continually restocking paper towels. Installing air hand dryers also negates the risk of unhappy customers being without paper towels to dry their hands (which doesn’t bode well for future relations), while saving you the daily chore of emptying washroom bins. 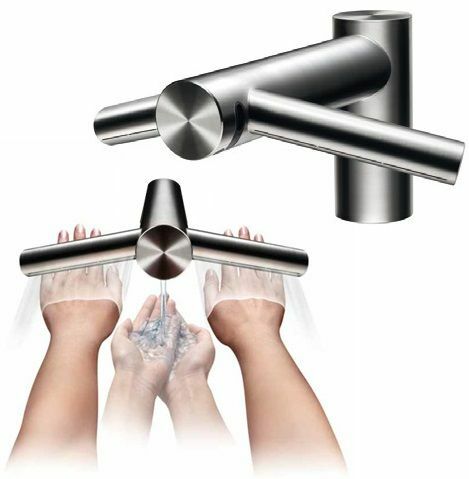 Whether you want hand dryers that are heated or unheated, for use in schools, restaurants, pubs, hotels, shopping centres or any washroom that will experience a high footfall, the collection from Washware Essentials should have a model and price range to meet your needs. Once you have received your product, our Hand Dryer Installer’s Guide will guide you through the process of correct installation. 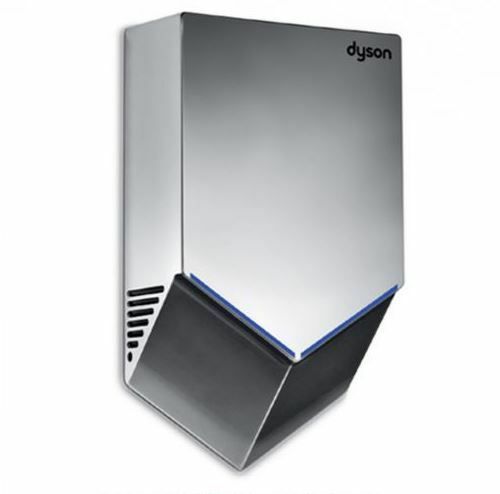 Additionally, although hand dryers are extremely reliable and should last years without any issues, we’ve also created a hand dryer maintenance guide to troubleshoot any problems you may experience. 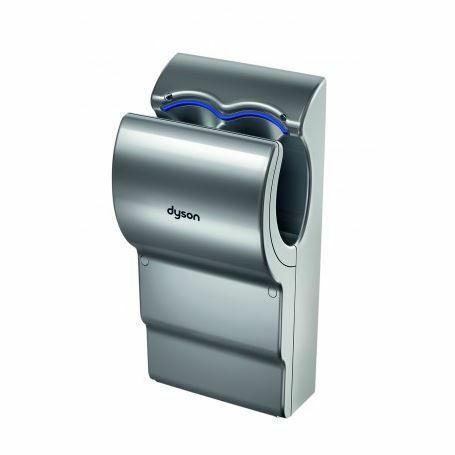 Which hand dryer is best really depends on your specific requirements, but our guide to choosing the best hand dryer for your venue should point you in the right direction. Our enthusiastic team is also on hand to offer expert advice, so please get in touch today and we’ll be happy to help.